If you’ve been following the Little House Living website for any amount of time, you already know that I’m a big fan of from-scratch recipes. In fact, I make just about everything from scratch when possible! As I’m sure you already know, there is a price we pay for convenience. When I get to make my own foods instead of letting someone else make them for me, I get to decide what goes in them. That means I can adjust the amount of salt, or sugar, or anything I might be concerned about. Since I’m making it from scratch and it’s not going to sit on a store shelf for a long time, I also have the power to not have to add any preservatives or anything else that doesn’t really need to be in my food. Not only am I able to produce healthier food, but it’s going to save money on my budget as well. If I went to the store to buy a bag of frozen, natural/organic chicken nuggets, I would probably spend at least $6 or more, depending on the size of the bag. I can make my own chicken nuggets at home for roughly $2.69 per recipe. If I were to make one recipe of chicken nuggets per week instead of buying one bag per week, it would save me over $172 per year. That’s a lot of leftover money for my budget! One of the arguments for buying convenience foods is that they are, well, convenient! This is where you really need to take a look at what you are considering making at home before you make a judgment call. 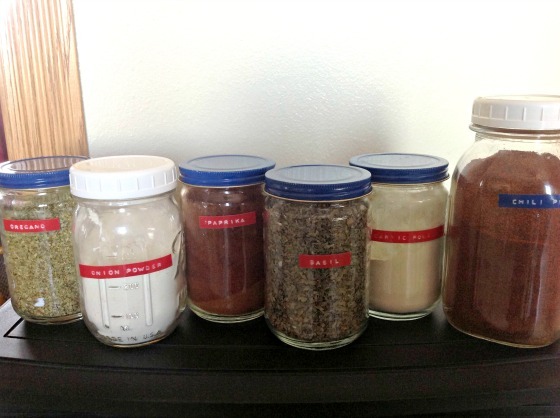 Homemade Salad Dressing takes me just a minute or two to make and costs less than $0.75 per bottle. Now let’s have some math fun… if a bottle of regular salad dressing costs me $3 from the store, I’m saving $2.25 for every bottle of dressing I make. If it takes me 2 minutes to make the dressing (and for that recipe it literally does), I’m saving $1.13 for every minute of making dressing or $67.50 an hour. Not that I would be making dressing for an entire hour but you get the idea… I’d be happy to have a job that was “making” me $67.50 an hour! Convinced yet? Now I’ve got some fun recipes to share with you so that you can get started with all the making and less of the spending. Your budget will thank you! One thing that I’ve really enjoyed learning how to make over the years is crackers of all kinds. They take a few extra steps than some of my other “make your own recipes” but they taste wonderfully fresh. Something you just can’t buy from the grocery store. You can add in various spices to this recipe to change up the flavor profile if you like, or they taste wonderful as the original recipe is written. Some fun add-ins could be cayenne pepper, parmesan cheese, or garlic powder. 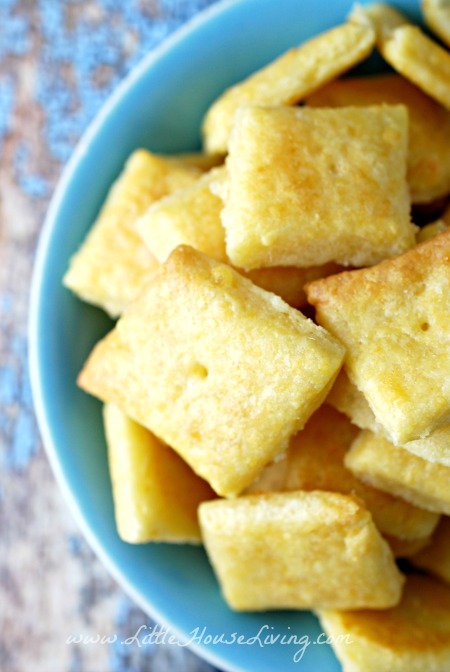 This fun snack has only 5 ingredients and about 15 minutes hands-on time. One of my little ones absolutely loves oatmeal. He will come downstairs in the morning for breakfast, give me his morning hug and then promptly ask if I made oatmeal today and if we can add in blueberries. I’m so thankful that it doesn’t take much to please my children! I love to make a good breakfast in the morning. It’s become something of a tradition at our home. Sure, on occasion we eat something quick, but most of the time my little wake up to a nice breakfast table with a candle or two and some gentle music to greet the day. 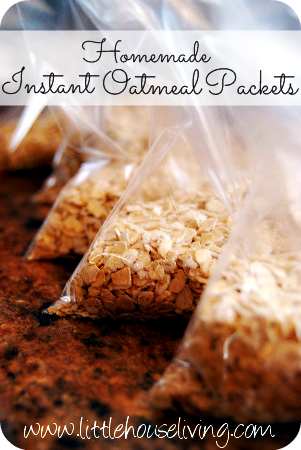 On the days when I may not have as much time to pull together my from-scratch breakfast, these Instant Oatmeal Packets and handy to have in the pantry. With just 3 ingredients and an endless possibility for add-ins, you can hardly go wrong. Looking for even more recipes just like this? 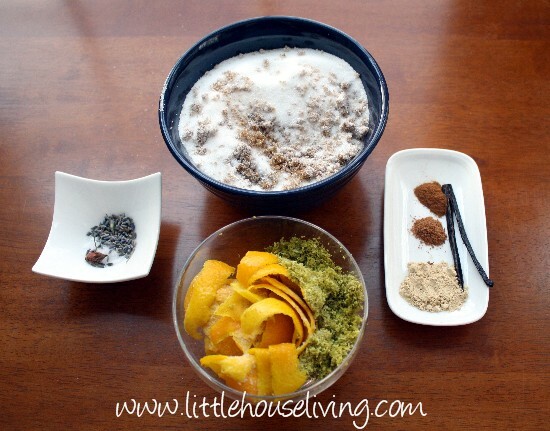 Check out the huge Make Your Own recipe page here on Little House Living! Who doesn’t love a warm bowl of tots topped with a bit of cheese sauce or a nice comforting dish of Tater Tot Casserole? Truth be told, I haven’t even looked at a bag of frozen tater tots at the store in a very long time. Not only are most of them not quite up to my health standards but they are $$$. With just 3 ingredients, you can make your own Homemade Tater Tots in the comfort of your own kitchen. If you grow your own potatoes, this recipe will be even cheaper for you. 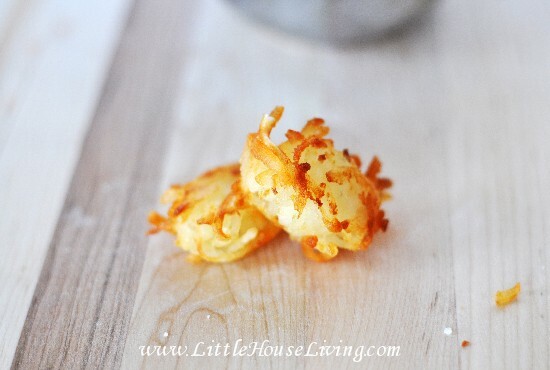 The best part is that these tots freeze well so you can make a big batch at one time and then freeze into smaller packages to use as needed. 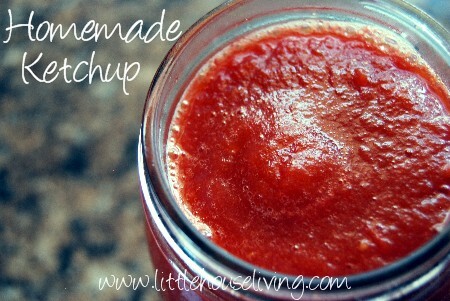 Ketchup is one of the things that is so easy to make at home that it’s almost laughable. Once you take a look at the recipe you will wonder why you ever bought it from the store! You can preserve my ketchup recipe if desired, you will just need to add the correct amount of acid to make the canned tomatoes safe for processing. (Follow the directions in Putting Food By for a ketchup or salsa recipe.) When you have a little one that enjoys eating a mountain of ketchup with every meal (although is surprisingly anti-tomato in its regular form! 😉 ), this recipe is a life (and budget) saver. 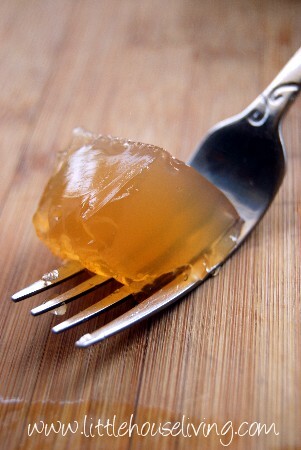 If you are up for a little experimenting, you have to give this fun recipe a try. 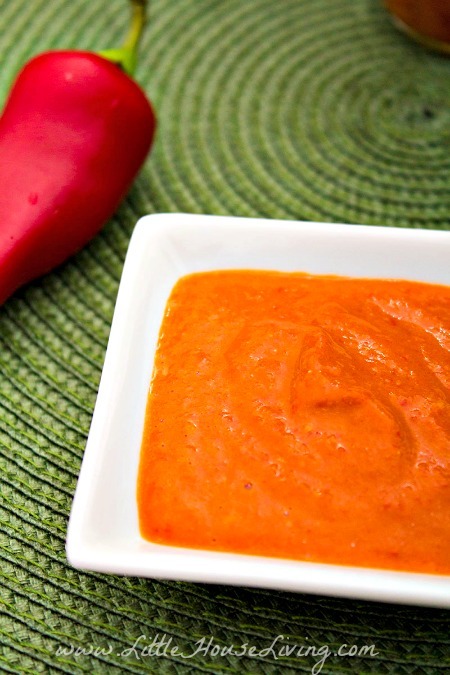 Another delicious condiment that you can make yourself is homemade Hot Sauce. Again, this recipe is much less expensive if you are growing the peppers yourself as well! 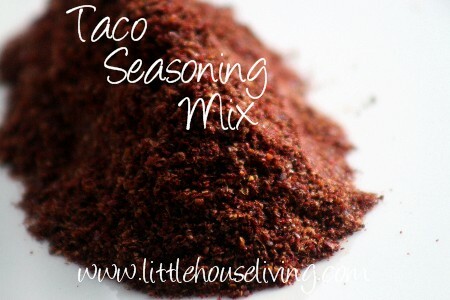 If your family enjoys Mexican dishes or if you just like to have a touch of hot sauce to go along with any meal, this is definitely a recipe that you need to consider. 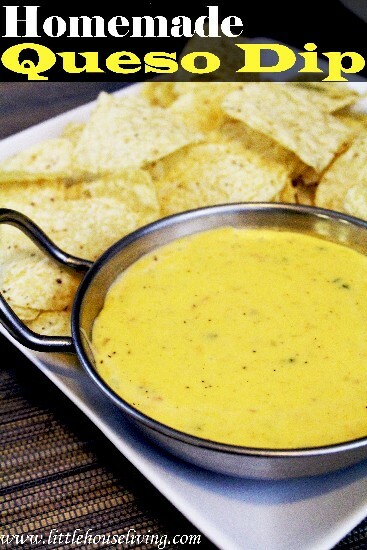 Ok, so homemade Queso isn’t something you might enjoy often, but it sure is a fun treat to make! Most recipes that I’ve seen call for Velveeta cheese which can get pretty expensive, not to mention being full of some interesting ingredients. This version of Queso uses a standard cheese but still provides the same creamy results. If you are looking for the homemade version of a white queso, you may also want to check out this recipe for White Cheese Dip. It’s also delicious and has a spicy twist! If you aren’t making pizza for your family at least once a week, are you sure that you are even cooking? Just kidding! 🙂 Pizza is such a staple in so many US households that most of us that meal plan (myself included) like to have it on our menus once a week. 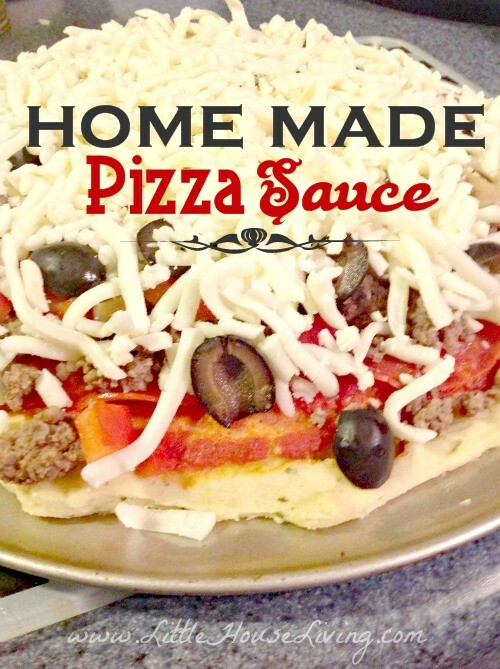 It’s fairly simple to make, just takes a pizza dough and some toppings, and you have a meal that the entire family will actually enjoy. You can even make an entire pizza in just 30 minutes if you are short on time but still want a tasty homemade meal. Homemade Pizza Sauce is very simple to make and although my recipe calls for canned tomatoes, you could just as easily use fresh from your garden if that is available to you (which would make this recipe even cheaper!). Now that you have this recipe in your collection, you won’t have an excuse to not do Friday Pizza Nights. 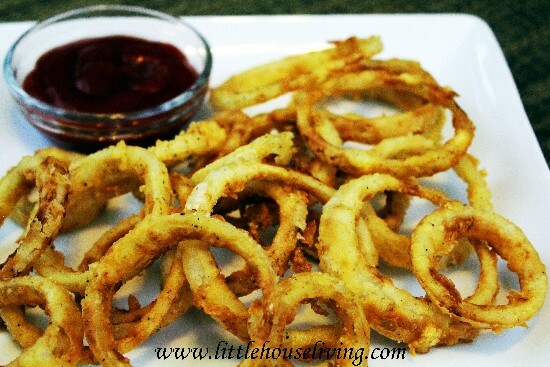 Onion Rings probably aren’t one of the top convenience foods on your current grocery list, but they definitely are a fun one to enjoy. Who doesn’t like a freshly grilled burger with a side of onion rings? Yum! These are really easy to make, and like most of the other recipes above, cheaper if you are growing your own onions. I’ll be honest, when I first started making things from scratch, I had no idea that you could make delicious gelatin treats without having to buy those little colorful boxes from the store. True, you still have to buy gelatin. But it can be purchased in bulk and you can add any flavor to it that your heart desires. Plus…it needs so added sugar and is a healthy burst of protein that the whole family, down to the youngest one, will enjoy! Yet another recipe that you will look at and wonder why you haven’t already made it because it’s just so simple! If you have ground beef (or pork or turkey, or any ground meat!) 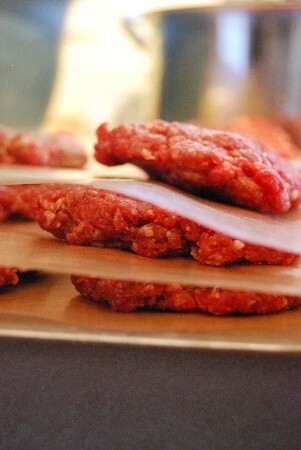 you can make your own sausage patties. Add your choice of spices to fit the flavor profile that you want and you’ve got a deliciously easy protein that is ready to add to your breakfast or other meals. 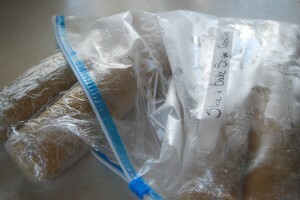 You can freeze these uncooked or fry them in advance to have them fully prepared. We like just adding the basics (onion, garlic, salt) to these, but I’ve mixed it up on occasion, I’ve even done some blueberry sausages (blueberries and maple syrup) that were delicious! I will end this post off on a sweet note (although I apologize for the old tiny picture, new one coming soon!) and share my recipe for Slice and Bake Cookies. These are one of the ultimate “convenience foods” in my opinion and every holiday you will never fail to see the latest flavors and designs of these little things in the nearest store refrigerator. But they can easily be made at home and they will still provide the same great convenience of the store version. Especially during the busy upcoming holiday season, these are wonderful to be able to pull out of the freezer and pop into the oven. Yum! 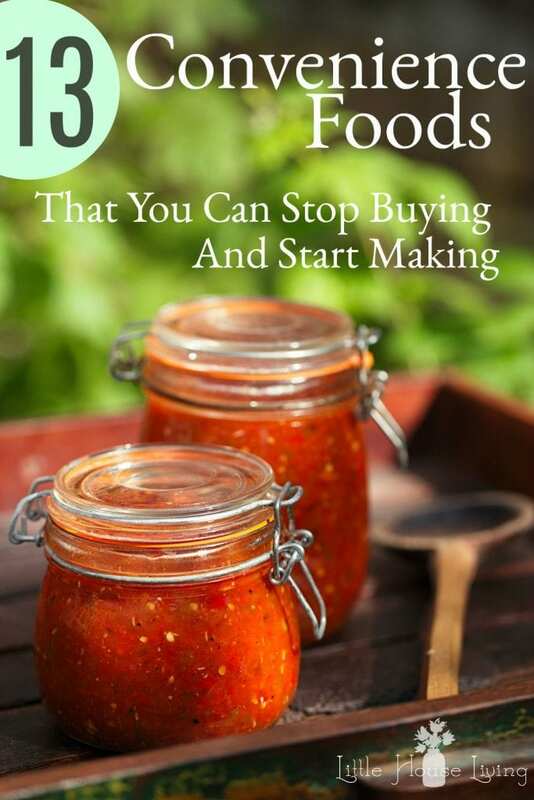 I hope that this list will give you the inspiration to go and make your own convenience foods at home. Isn’t it wonderful that we can still enjoy the convenience of the dish or condiment without having to make a run to the store? Most of these recipes can lighten our budget (especially if you grow a garden!) and I can almost promise that all of these recipes have better ingredients in them than their store bought counterparts. If you are looking for some fun, pre-made Mix recipes that you can use to create your own shelf stable convenience foods, be sure and take a list of my top 10 Mixes You Need in Your Pantry or our full page of Homemade Mixes. Which of these recipes do you already make? Which do you want to try next? 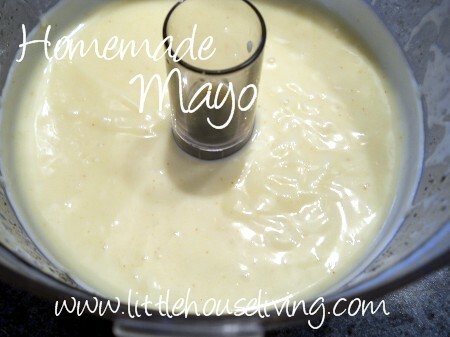 I have been making my own mayo for years. Another convenience food we make is meatballs. We make a large batch, then flash freeze. I like making “home made” white sauce for pasta, bread, and onion rings. I don’t do it as often as I cold, but I do enjoy doing that. *smile* I tend to use some examples from the Amish recipe books I have and I use short cuts to make things we like too. This cuts down on prep time. *smile* Thank you for sharing about your cracker experience, I’ve not worked on that side of my kitchen abilities yet, maybe someday. *smile* Have a great day. Sincerely, Mommy of two growing blessings & so much more! The jar box is very useful ! It will make storage easy. 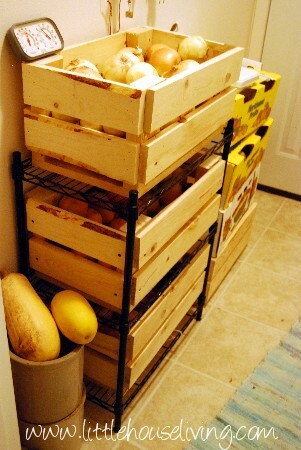 Hi, Just wanted to let you know that the link from the email took to the post of “Drying and Preserving Flowers”. Merissa, this is quite an impressive list! I don’t grow much, but even so, I know it’s possible to make my own without that. Those tater tots, salad dressing, and cheese crackers are my favorites. The others are delicious looking too! So many good ideas — I love saving a trip to the store! Such a great list, Merissa. And you are so right! There are a lot of convenience foods that we could easily make ourselves and at half the cost (or less!). I never think to make ketchup or mayo, for instance, but may just try making them at home (we go through a lot of these 2 items in particular). Thanks for sharing! I’ve never tried making my own crackers. I can’t wait to try your recipe. Congrats, you’re featured at the This Is How We Roll Link Party. Could I make hot sauce with jalapeno pepapers? Great article for those who want to start eating healthy but don’t know how. I have long since switched to a healthier diet that includes natural products that I buy on the farm. I can say that life after that changed for the better, I became much better and more cheerful feel!